Syasya Nursyahirah Shamsul Badri from Dato Marsal Primary School with her essay titled Pengalaman ke Pulau Pelompong emerged as the winner of category "A", for primary school, while Michelle Lau Shu Qing from Chung Ching Secondary School with her essay titled Usaha ke Arah Memupuk Budaya Membaca di Kalangan Pelajar emerged as the winner of the category "B", for secondary school. Both winners won a cash prize of $300 each and a Mekar-Juara volume during a prize awarding ceremony yesterday at Balai Sarmayuda, Language and Literature Bureau. 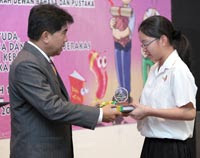 On hand to present the prizes and certificates was Dr Mataim Bakar, Director of Language and Literature Bureau. Local Academic Attends Int'l Malay Language Conference. UBD Undergrad Scores a First with Poems Published. UNIVERSITI Brunei Darussalam (UBD) student Ali Termizzi Hj Ramlli made history by becoming the first Bruneian undergraduate to publish his poetry anthology during his studies. Speaking to The Brunei Times yesterday, this fourth year student taking Bachelor of Arts in Education was informed of this by his lecturers at UBD. The book which was officially launched by UBD former Vice-Chancellor Dato Paduka Dr Hj Ismail Hj Duraman in conjunction with UBD "Info Day" April this year. The event was celebrated at a blessing and thanksgiving ceremony held at Ali Termizzi's residence last night. The ceremony, he said was actually held to launch and to introduce his anthology Sajak "Inilah Aku" to Kg Mulaut residents after it was launched at UBD recently. At present his book is available at 10 foreign universities in Malaysia, Indonesia, Vietnam and UBD and at 35 local bookstores in the country. 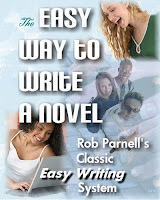 If you aspire to be a best selling author, this proven and acclaimed Easy Writing System is all you'll ever need - and that's guaranteed! Because writing good and profitable fiction is fast and fun - especially if you do it The Easy Way! Asterawani, DBP officers at Labuan literature gathering. 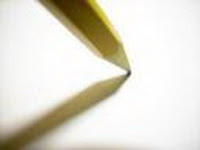 Tips Writing a Book - How to Write a Non Fiction Book with Write Your eBook or Other Short Book - Fast!. Local literary figures at poetry festival in Miri. Two local poets are currently participating in a poetry festival at Niah National Park in Miri an the effort to create awareness on the richness of the natural beauty, flora and fauna and the need to safeguard them for future generation. Literary writers from Brunei Darussalam, Sabah, and Sarawak will join their counterparts in Labuan for a two-day gathering entitled "Dialog Teluk" from November 14 to 16, in an effort to seek a common platform for greater and wider cooperation in literature. Al-Marhum Sultan Haji Omar 'Ali Saifuddien Sa'adul Khairi Waddien hari ini diiktiraf secara rasmi sebagai Tokoh Sasterawan Islam Brunei manakala Al-Marhum Pengiran Shahbandar Mohd Salleh Pengiran Sharmayuda sebagai Pelopor Kesusasteraan Moden Brunei. Perisytiharan itu dibuat dengan titah perkenan Kebawah Duli Yang Maha Mulia Paduka Seri Baginda Sultan Haji Hassanal Bolkiah Mu'izzaddin Waddaulah, Sultan dan Yang Di-Pertuan Negara Brunei Darussalam. Titah perkenan berkenaan itu disabdakan oleh Menteri Kanan di Jabatan Perdana Menteri, Duli Yang Teramat Mulia Paduka Seri Pengiran Muda Mahkota Pengiran Muda Haji Al-Muhtadee Billah hari ini pada Majlis Anugerah Kesusasteraan Islam Yayasan Sultan Haji Hassanal Bolkiah (YSHHB). 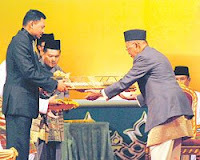 Award fitting tribute to Al-Marhum Sultan Haji Omar 'Ali Saifuddien. The seventh son of 10 siblings of Al-Marhum Sultan Muhammad Jamalul Alam, Al-Marhum Sultan Haji Omar 'Ali Saifuddien Sa'adul Khairi Waddien possessed significant literary talent. Al-Marhum produced several 'Syair' or poems on religion, education, ethics, humanity and customs of Brunei Darussalam. At a young age of 10, Al-Marhum had already started to learn to recite the al-Quran and his knowledge on Islam was further increased when he continued his studies in Islamic laws, which shaped his way of thinking. Al-Marhum's eminence was evident when he was appointed as Duli Pengiran Bendahara, Brunei's first Wazir in 1974, and his appointment also made him a member of the Legislative Council. Through the Legislative Council meetings, Al-Marhum was able to improve the quality of life and to uplift 'syairs' or poems and Islamic teachings. Al-Marhum Pg Shahbandar 'Pioneer of Brunei's Modern Literature'. 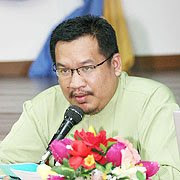 Modern literature in Brunei Darussalam was said to have begun when Al-Marhum Pengiran Shahbandar Muhammad Salleh wrote the 'Syair Rakis' in 1846. Al-Marhum Pengiran Shahbandar Muhammad Salleh was an educated royal family member who lived between the 18th and 19th century. He received his early education at Betawi (Jakarta). He was sent by his father, with the help of the Dutch Governor in Betawi. Al-Marhum Pengiran Shahbandar Muhammad Salleh was also well known as an intellectual and he attracted the attention of people. Al-Marhum Pengiran Shahbandar Muhammad Salleh, who was also known as Pengiran Indera Mahkota, became Governor of Sarawak in 1824. His talent amazed James Brooke when James arrived in Sarawak on August 1,1839. WRITING plays a crucial role in developing the country in which the author has a responsibility in shaping the values and morals of a society, said Pehin Orang Kaya Seri Kerna Dato Seri Setia Hj Abu Bakar Hj Apong, chairman of the Sultan Haji Hassanal Bolkiah Foundation (Yayasan) board of directors yesterday. "(This is) especially in Islamic literature which has high qualities of aesthetics and morality," said Pehin Dato Hj Abu Bakar during his speech at the inaugural Islamic Literature Awards held at the International Convention Centre. His Royal Highness Prince Haji Al-Muhtadee Billah, the Crown Prince and Senior Minister at the Prime Minister's Office, was present as the guest of honour at yesterday's award ceremony. Also present to accompany the Crown Prince was His Royal Highness Prince 'Abdul Malik.